Look at the pool installations featured below to see how stunning design effects can be created at very little extra cost. 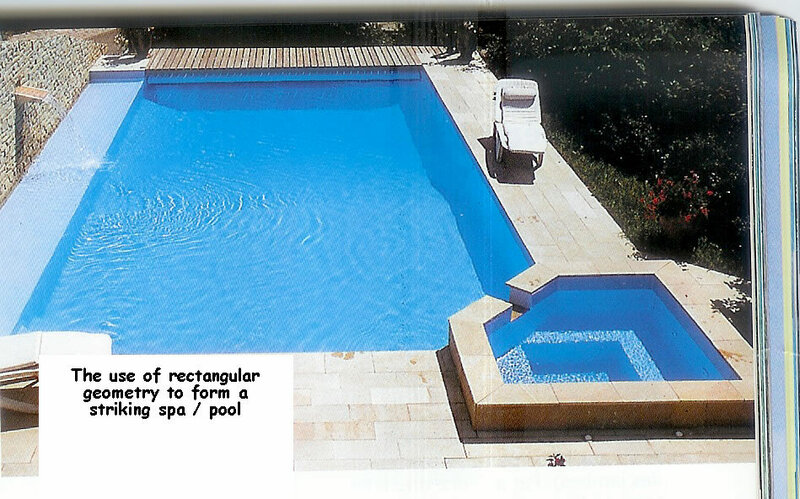 In theory it might seem that a spa could be combined directly with the pool with the same water level for both rather than have the spa overflowing into the pools as illustrated in all the examples below. However this does not work simply because if the spa is to be comfortable the water needs to be maintained at 30 - 32 degrees C and the water in the pool probably 10 degrees C less. The spa water also needs to be filtered more frequently because of the higher water temeperature and increased pollution load on the spa water when several people are using it. 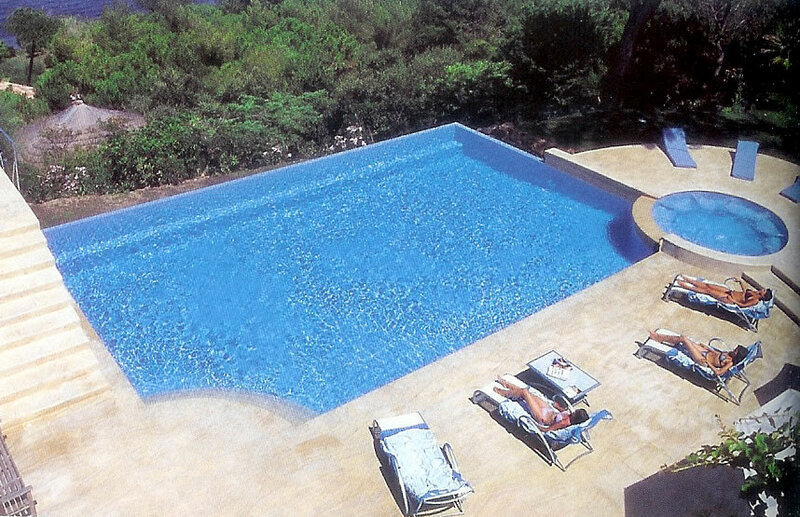 All this means that there must be seperate heating and filtration systems for the pool and the spa. Just click on any of the thumnails below to get a bigger picture. spa-pool-01 Classic Greek square geomtrical style - note the submerged floating pool cover beneath the timber at the far end. spa-pool-02 A stunning pool spa installation on a very striking site. Note the use of the natural rock in the spa for seating - Im not sure how comfortable this will be! spa-pool-03 I love the way the round spa has been placed on the peninsula of the kidney pool. 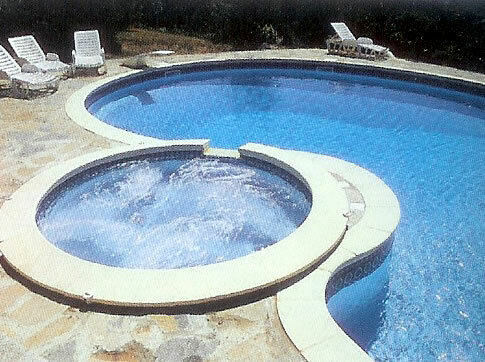 Note the use of the same copings has neatly linked the pool and spa designs together. spa-pool-04 Another very attractive combined pool spa installation. I like the table in the pool - suitable for adult drinks and kids games and the use of crazy paving for the copings of both pool and spa. 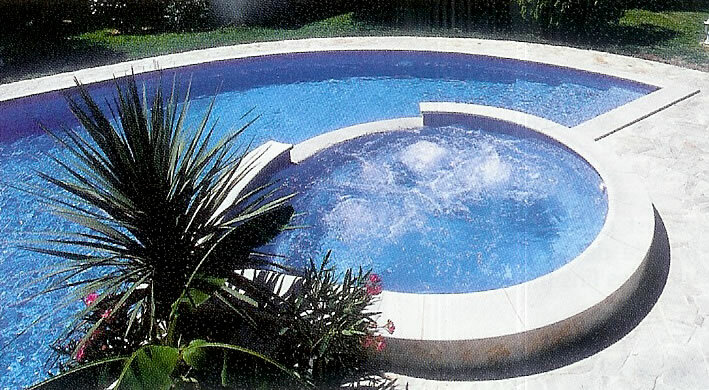 spa-pool-05 This is a very unusual half round pool with a combined spa - has the normal problem with curved pools in that a cover is not easy to install. 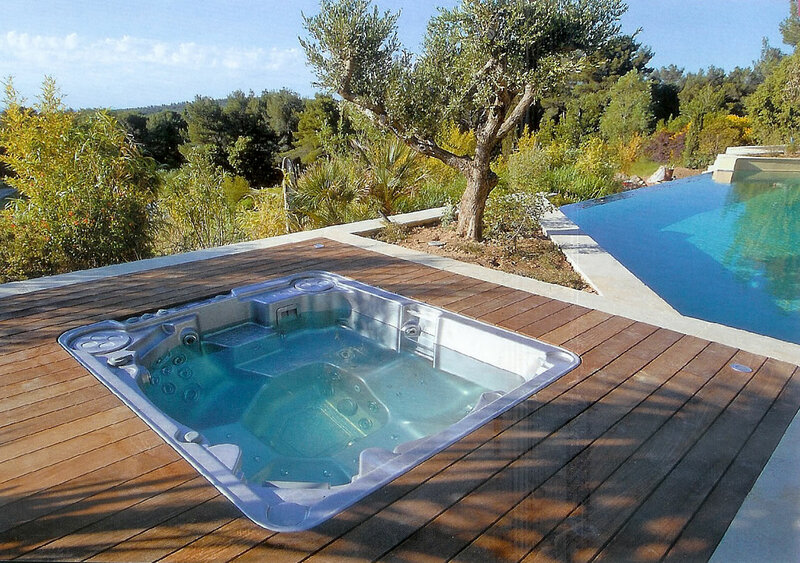 That is all that you can say about a spectacular rectangular pool with a combined spa. The designer has done a superb job in the exploitation of a fantastic pool site. spa-pool-07 A simple rectangular pool again with a submerged floating cover - but the waterfall from the spa is magnificent and shows how a simple design feature can turn a mundane pool into something very special. spa-pool-08 An awe inspiring kidney shaped pool again. 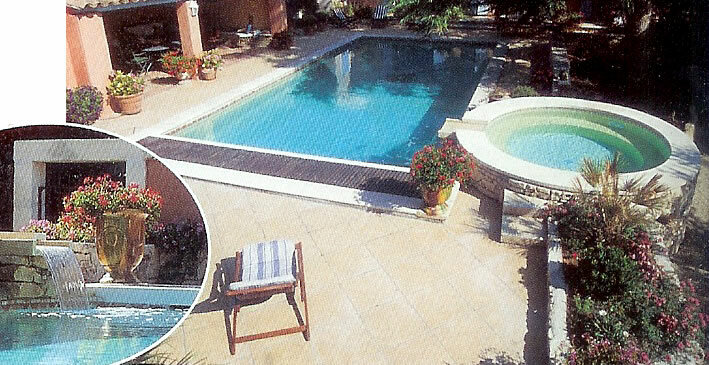 I like the use of the red clay tile sin the coping of the spa and the contract with the reconstituted limestone paving of the pool surround. I had to show you this because its a good illustration of how not to do it!